Now is the time to save thousands of dollars on a luxurious new Jaguar F-PACE at Jaguar Colorado Springs! Our 2018 Jaguar F-PACE VIP Demo Special has been a huge success and we only have one remaining 2018 Jaguar demonstration vehicle available on this amazing deal. 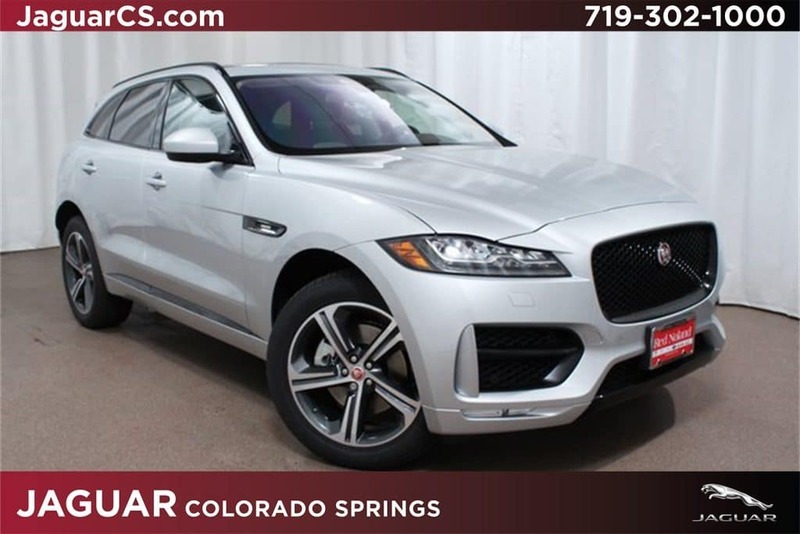 Purchase this impressive 2018 Jaguar F-PACE R-Sport from Jaguar Colorado Springs today for only $64,165, which is $5,000 below MSRP. You, as the owner of this beautiful new Jaguar, will enjoy all of the benefits of an elegant new sport-utility vehicle without the new car price! Sleek and stylish, this 2018 Jaguar F-PACE R-Sport has all of the capability of an SUV with the innovative technology and luxurious comfort you expect from a Jaguar. The 296-horsepower 2.0L turbocharged I4 engine is both powerful and fuel-efficient, earning an estimated 22 MPG in the city and 27 MPG on the highway. An 8-speed automatic transmission offers a smooth transition between gears and works well with the 2.0L I4 engine delivering optimum performance. The popular all-wheel drive powertrain offers extra traction whether maneuvering on icy roads or adventuring on mountain trails. This amazing new 2018 Jaguar F-PACE is a dream to drive! The sporty R-Sport package offers sleek design cues on the exterior that Jaguar enthusiasts will adore including a sporty front bumper, unique R-Sport badges, and refined grained matte black exterior finishers. Sitting in the passenger cabin, you will enjoy all of the luxurious details this incredible new F-PACE has to offer. A two-tone Ebony and Oyster interior is very inviting and comfortable whether commuting or taking a road trip. Enjoy best-in-class technology and luxury features including heated/ventilated front seats, heated rear passenger seats, Wi-Fi hotspot, Touch Pro infotainment system with 10-inch touchscreen, powered gesture tailgate,and 825W Meridian premium surround sound system. Also enjoy navigation, front and rear parking sensors, power sunroof, blind spot monitor, and much more! Once this beautiful 2018 Jaguar F-PACE R-Sport disappears, our VIP Demo Sale will disappear also. Contact our sales experts at Jaguar Colorado Springs to claim your savings today!